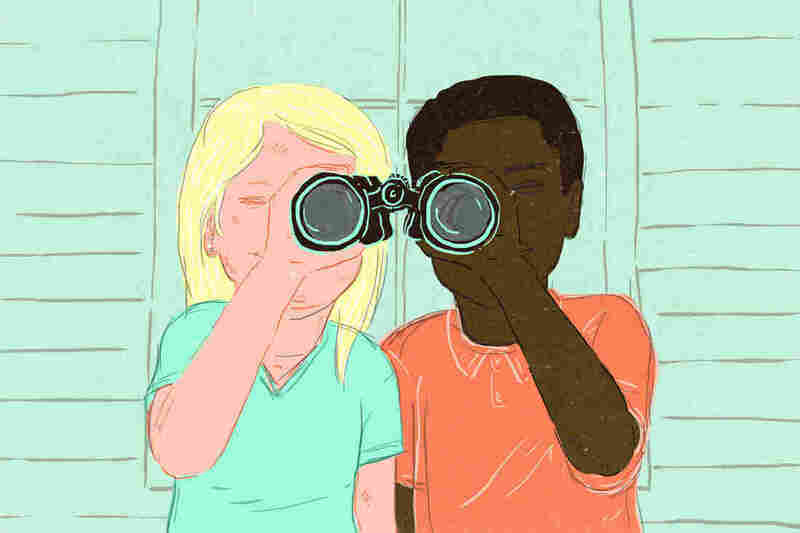 The Evidence That White Children Benefit From Integrated Schools : NPR Ed It has long been established that poor and minority children do better in integrated classrooms. But there's more and more to suggest that the benefits spread to all students. Recently a neighborhood in Brooklyn made national headlines for a fight over public schools. Lots of affluent, mainly white families have been moving into new condos in the waterfront area called DUMBO, and the local elementary school is getting overcrowded. The city wants to redraw the zones in a way that would send kids from this predominantly white school to a nearby school where enrollment is over 90 percent black and Hispanic and which draws many of its students from a public housing project. Some parents on both sides of the line balked. "Liberal hypocrisy," was the headline in the conservative National Review. The tacit assumption was that sending children to a majority-minority school would entail a sacrifice, one that pits their own children against their (presumably) progressive ideals. But there's plenty of evidence that suggests the opposite: White students might actually benefit from a more diverse environment. 1. Their test scores won't be any lower. The federal government just released a report looking at the black-white achievement gap. It found something remarkable: "White student achievement in schools with the highest Black student density did not differ from White student achievement in schools with the lowest density." Translation: After controlling for socioeconomic status, white students essentially had the same test scores whether they went to a school that was overwhelmingly white or one that was overwhelmingly black. This finding "confirms decades of research that white students' achievement is not harmed" by the color of their classmates' skin, says Genevieve Siegel-Hawley, an education professor at Virginia Commonwealth University, who researches race, stratification and inequality in American schools. 2. They may work harder and smarter. Katherine Phillips is a professor at Columbia Business School who studies the benefits of diversity — a growing field. For example, there's evidence that corporations with better gender and racial representation make more money and are more innovative. And many higher education groups have collected large amounts of evidence on the educational benefits of diversity in support of affirmative action policies. "What the work tells us is that when you have people from the social majority in a diverse environment they work harder and focus on the task more," Phillips explains. "They think about problems more broadly." And, she adds, they are more likely to back up their own opinions and consider alternative points of view, rather than assuming that everyone thinks as they do. Phillips believes that her research, done on business students, could generalize to other classroom settings. Being in a homogeneous group may feel more pleasant, she says, but diverse groups keep people on their toes. This is potentially an important finding for schools, given the Common Core's emphasis on deep learning, critical thinking and citing evidence. 3. They may become more empathetic and less prejudiced. "Diverse schools, especially when kids attend them at an early age, are linked to cross-racial friendships," says Siegel-Hawley. "Your willingness to stereotype declines, and that in turn is linked to a reduction in prejudice." Considering that the United States is projected to be majority-minority by 2044, when today's elementary school students are in the workforce, being comfortable with difference may become a competitive necessity. All of the researchers I spoke with emphasized that the benefits of diversity don't come at the stroke of a redistricting pen. "The benefits aren't automatic," says Phillips. "If you put people in diverse environments they can go really badly or really well. A lot of it is a function of things like how much you respect the people in the room." Still, given that truly integrated public schools have long-established benefits for students who are poor and who come from minority groups, many researchers believe that creating classrooms that benefit everyone is a good policy. "Cities and schools need really strong leadership that articulates clearly the need for diversity and equity and why it's connected to 21st century skills," says Siegel-Hawley.